What’s The Link Between Alcohol And Depression? People around the world use alcohol to escape the trials of life. Drinking can boost one’s mood and confidence. Because it slows the nervous system, alcohol has been used for centuries as a way to unwind and reduce stress levels. These positive effects, however, are only temporary. Just a few hours after consuming alcohol, the drinker’s elation and sense of calm will fade. In most cases, this crash leaves the person feeling emotionally worse than he or she did originally. Over a long period of time, drinking alcohol can greatly increase a person’s risk for mental health issues, such as depression. All of the body’s processes rely on a special chemical balance. These compounds transmit information and react with receptors in our brains. Alcohol functions as a depressant, which means it subdues these important chemicals. Because of this, signals throughout the brain and body are reduced and muted. When these functions are impaired, it often leads to a feeling of relaxation and bravery. Although the initial effects can be pleasurable, higher levels of alcohol begin to take a toll on larger sections of the brain. The more alcohol someone drinks, the more likely the substance is to start depressing more vital portions of the brain, such as the ones that control breathing and heart rate. Even though we now know which areas and functions of the brain alcohol affects, it’s important to study exactly how it changes the long-term functioning of the mind. Drinking doesn’t always offer the result the drinker hopes to find. 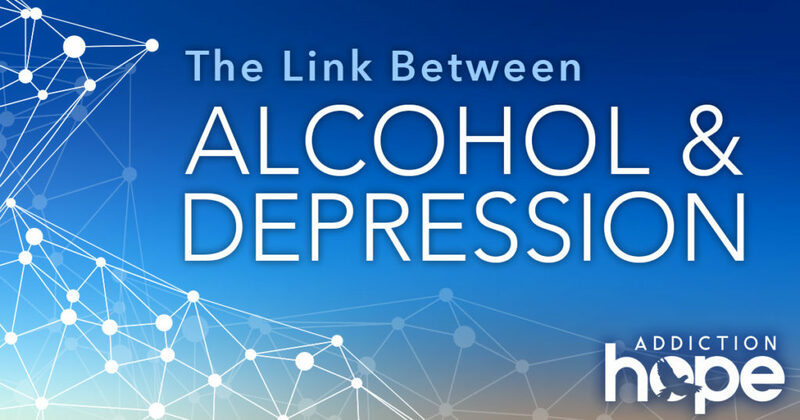 Sometimes a person will grab a beer or glass of wine to put the stress of the day behind, but he or she may find that alcohol exacerbates depression or anxiety. When inebriated, people tend to exaggerate any negative feelings or habits that they have. Since alcohol suppresses the decision-making processes of the brain, excessive drinking couples exaggerated feelings with poor decisions. This makes for a sometimes-lethal partnership that can lead to depression at best – and dangerous behavior at worst. Learn even more about alcoholism here. Depression is an issue for alcoholics in more ways than one. Consistent alcohol intake destroys the brain’s serotonin levels, which are the chemicals that regulate and improve mood. When someone regularly consumes alcohol, it decimates this crucial compound – and the brain cannot remanufacture the chemical. As alcoholics drink, their serotonin levels continue to fall each day, often resulting in depression. Unfortunately, many people use alcohol to alleviate depression symptoms. They reach for the temporary relief of a calming cocktail without realizing that the drink may be adding to their steady decrease in mood. People who do this frequently fall into a vicious cycle of drinking, struggling against their depression, and then drinking some more. The loss of inhibition that makes alcohol so popular also makes it deadly. Because drinking affects decision making, ideas that were once considered dangerous suddenly seem plausible. Self-harm rates skyrocket among alcohol users. Of the population that has harmed themselves, 19 percent of women and 27 percent of men attributed the action to alcohol intoxication. Don’t forget the fatal forms of self-harm too. In 2015, there was an average of 117 suicides per day in the United States. Of those, 25 percent happen when an individual is under the influence of alcohol. For perspective, that’s about 29 people who drink and then kill themselves every single day. Such dire statistics result from a combination of reduced inhibition, overemphasized emotions and growing depression. In fact, suicide is an astounding 120 times more likely among heavy drinkers than the general population. These numbers are especially important to keep in mind this September, which is National Suicide Prevention Awareness Month. For those struggling with alcohol addiction and depression, the consequences of continued drinking can be fatal. Don’t be afraid to provide support to a loved one or to help them seek treatment to overcome the problem. Look for a treatment center that caters to dual diagnosis patients – in this case, those who abuse alcohol and have depression. Seeking professional help could be a life-saving decision.